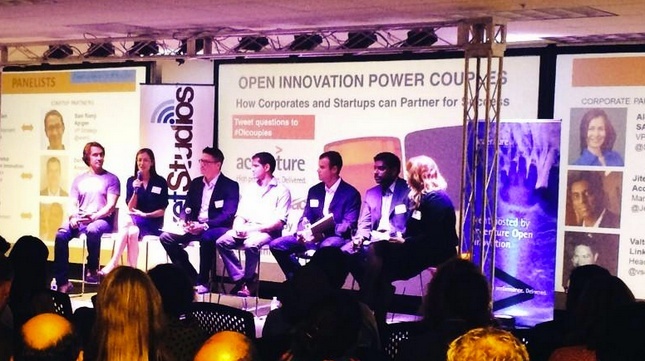 Tuesday, July 19, I had the honor of moderating a fantastic event put together by Accenture Open Innovation here at RocketSpace. Over 100 people attended the Accenture event titled “Power Couples.” The panel discussion focused on corporations, startups, and how they are working together to create new and differentiated opportunities in the marketplace. We heard from “power couples” SAP Ventures and Apigee (Alessandra Sadan and Sam Ramji, respectively), LinkedIn and Percolate (Valter Sciarrillo and Shik Sundar), and Accenture and Anaplan (Jitendra Kavathekar and Dennis Dresser). It was an insightful discussion on navigating the waters of open innovation between corporates and startups. The crowd was engaged and the panel was hilarious and real - a dream come true for a moderator. Some may say that our panel looked and acted like they were on The Newlywed Game as the couples shared their individual perspectives and experience working together. These couples worked hard to have the success they share, and their stories led to a fantastic and real discussion about the highs and lows of their relationships. We first addressed how the matches happened and the opportunity they felt was in front of them. The panel shared their unique stories, each one different in how they eventually came to a partnership and how they are currently positioned. The conversation then switched to sharing insights and advice with those looking to create this type of partnership. Overall, a great event with some fantastic takeaways; not to mention the custom ice cream sandwiches the audience enjoyed during the panel discussion! Below are some of the great insights and advice shared with the audience. We hope to see you at the next Accenture or RocketSpace event on our campus! What Makes A Good Corporate Partner? Clarity in what you actually want and how long it will take to get there. Openness to possibilities and proactive follow up. 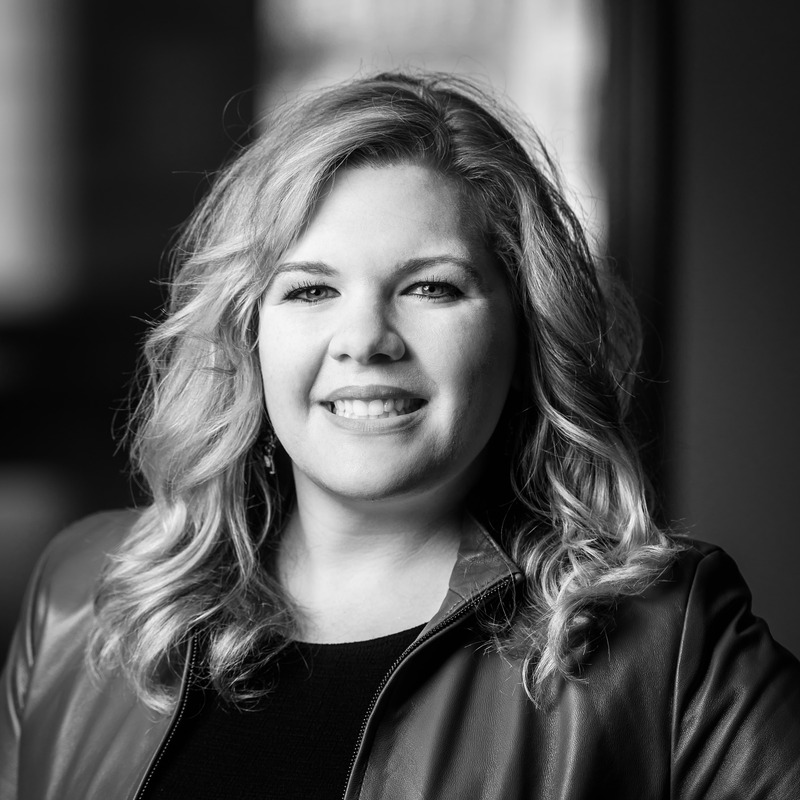 Strength in scale - include strong APIs and sales ops support to make things happen. What Makes A Good Startup Partner? Show traction in the market - especially in target segments - and the ability to execute. Be flexible and open to trying new things with the corporate. Patience will be required to move a giant ship. Come prepared for a conversation. Know how you can help and position the startup with time to market for corporate innovation. Show speed for how you get to market, the customers you are missing out on, and what happens if you miss out. Be flexible and nimble. Push to try and act more like a startup yourself. Be tremendously patient. Don’t put your eggs in one basket. There is NOT one partner who will solve all of your problems. Build relationships at ALL levels of the organization. Even if you have an executive champion, you still need to forge relationships with everyone below him or her. Never bet the company on a corporate partnership because corporates are complex. Keep looking for partners and solutions. Don’t just rely on one corporate partner. 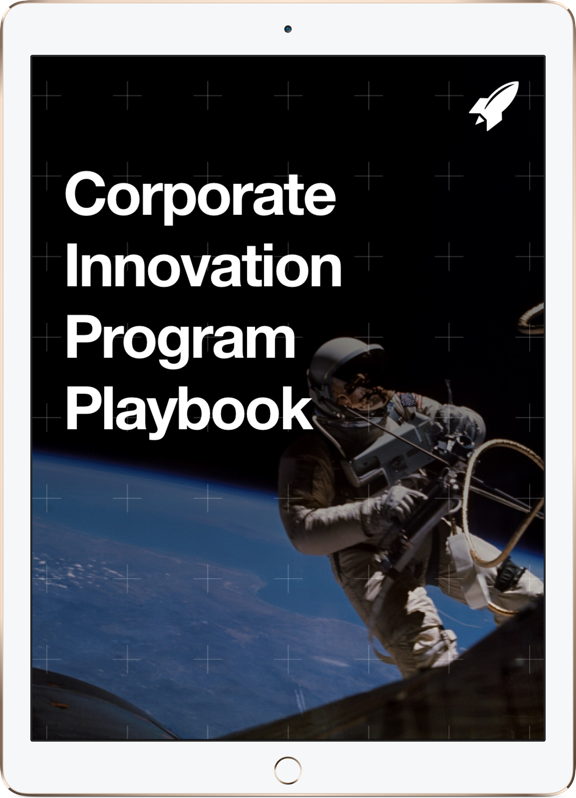 Want more resources for Corporate Innovation professionals? Check out our Webinar: Disruptive Innovation Trends in 2016.